Asking questions in the text is similar to playing a game. You guess the reader’s concerns, probe your needs, promise to find what he was looking for in the text. It requires intuition and empathy, but above all – skills. Do you realize how difficult it is to formulate a good question? When Thales of Miletus asked the question, How did the world arise ?, philosophy was born. Thales did not find an answer because, as Ireneusz Iwański put it, “the question was simply difficult.” However, the answer did not count, only the question. Because the symbol of human thinking is not a dot, but a question mark. The questions reach secrets, they look for meaning, they are pushed to the wall. Where do we come from, who we are, where are we going? Quo vadis, Domine? And you Brutus against me? Some questions encourage a chat, eg How was your day ?, others change our lives, eg Will you marry me? We always ask them for someone. Even if we write a question, we imagine a reader who will answer it. For many hundreds of years, the reader has been silent, talks are underway on the Internet today. Comments can be provoked by questions. No wonder blogs, social networks and sales sites explode with questions. Some intrigue, others irritate others, attack. How to ask to achieve what we care about? Let’s get to know the strategies of those whose job is to ask questions, that is, advocates, psychotherapists, and sellers. “Did you see how the accused steals money from the store’s cash register?” – he asks the lawyer sharply. A witness interviewed can only answer “Yes” or “No”. If he answers “Yes”, the lawyer will ask “Did the accused have a weapon?” If the answer is “No”, the lawyer will give the witness a photo and ask: “Do you recognize yourself from this monitoring approach?” A good lawyer can interrogate a person questioned by closed questions that limits the answer to the two options “yes” or “no”. The well-known saying says Who asks, does not err, but there are also others: Who asks, this leads. Skillfully asked closed questions lead the interlocutor and reader wherever we want. The greatest master of asking questions knew about it – Socrates. He wandered around the Athenian market, looking for people who made their own thoughts in the form of declarative sentences and tear them out of mental inaction, asking questions. He knew that the truth lies in them, it only has to be extracted. If he asked open questions, he would have no control over the direction in which the conversation would take place. So Socrates mainly asked closed questions. So how do you use the potential of closed questions – to guide the reader and not close communication? Let’s assume that we promote the course of creating presentations on the website. So we ask a question: Do you want to take part in an exclusive training on creating presentations? The reader responds in his own mind and skips to the other side. We have just closed communication. Do you want to create a presentation that draws like a Hollywood movie? The chance that the reader nods has increased very much now. Of course, we did not get 100% certainty. We must honestly admit that we are in a more difficult position than the lawyer and Socrates. Writing a text on the website, we reach a potentially huge group of people and it is harder for us to predict whether they will answer the question in accordance with our intention. So before we ask a question, we need to analyze the website’s statistics to find out what words the readers write to the search engine, what they dream about or want to get rid of. And what about not? It will also be useful to us, but only if we want to provoke the reader, eg. Have you heard about the method of effectively asking questions? No? It’s time to meet her. How do you get in a relationship? Why do you want to change your flat? What do you think about your new job? Open questions can not be answered yes or no. By asking them, we express interest, care and sometimes prying. When we touch matters as wide as desires and fears, we can not confine ourselves to a closed question. By asking an open question, just like closed, we have to think about what we want to achieve. This time it will not be a simple answer: yes or no, but we can still set the direction in which we will guide the reader. Let us assume that we want the reader to motivate himself to become a trained Italian. We create an open question, eg. How is it possible that you still can not prepare the perfect spaghetti? We may motivate some readers, but for many such a question will sound too aggressive. To mitigate this effect, before asking the question, we need to praise the reader, eg You know very well about cooking. How is it possible that you still can not prepare the perfect spaghetti? Now let us encourage the reader to imagine something. Let’s try: How do you imagine life after your greatest dream comes true? It sounds inviting? For some, maybe. Others will feel uprooted. Let us then lead the reader to a gentle question, for example: Imagine that your greatest dream life has just come true. What do you think would happen then? Open questions allow the interlocutor to open, and it is always difficult. Therefore, you need to prepare the facilities well, and then ask the question with tact. Like a good psychotherapist. “Do you prefer coffee or tea?” – we ask a guy who just sat down on our couch. This innocent semi-open question strongly manipulates his answer. Maybe he would prefer juice or water, but he can only choose coffee or tea. Much more interesting, however, is what happens in his mind before he answers the question. Now, our guest is starting to wonder what he is more keen on at the moment. The semi-open question provokes a beneficial psychological effect, namely: when the interlocutor formulates his answer in the first person, “I prefer tea,” he assesses the responsibility for his words much more than when he answers “yes” or “no”. This strategy will work if you want to get the reader to choose something. Let’s say we’re advertising a language school. We want to present the offer of individual and group courses. When we ask: Do you prefer to learn in a small group or individually ?, the reader will start to wonder what classes he prefers, and unknowingly accepts that he wants to learn at all. 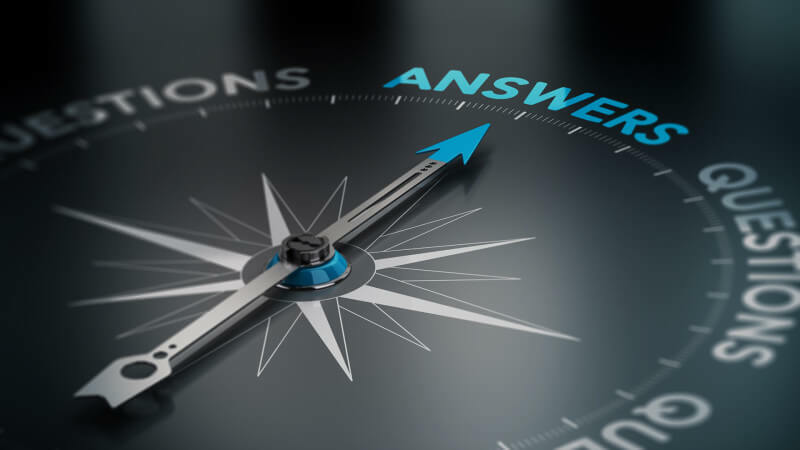 Sellers ask many questions semi-open, but also open or closed not only to hear a specific answer, but to smuggle implicit assumptions, or presuppositions. Let us return to the example of a language school. We want the client to sign up for the first lesson of the course. Let’s then wash this assumption in a question, eg. What do you learn during the first lesson? The reader will focus on what you learn, and unknowingly accepts that the first lesson will take place. Do you still dream about speaking French fluently? The word still suggests that something has started in the past and continues, so the reader will unwittingly accept that he dreamed of speaking French fluently. No matter how you answer this question. What counts is what he unwittingly accepted. It’s also possible to mislead a word like, How do you want to speak French fluently? The verbs that describe the thought processes will also be useful, so: to know, to be aware, to be aware, to notice, eg. Do you realize that the French language can be learned quickly? And on a persuasive reader, only a massive attack will work, eg. Do you fully realize how much you want to speak French fluently? By asking questions in the text, you take on different roles. If you know what answer you want, choose a lawyer’s strategy. When you have to confuse someone’s vigilance, clasp to the subconscious like a good seller. When you want to encourage the reader to confidences, ask a psychotherapist. Previous Post Facebook remarketing – how does it work? Next Post How does Google search work?